Welcome to the Crazy Crafters Blog Hop for November. 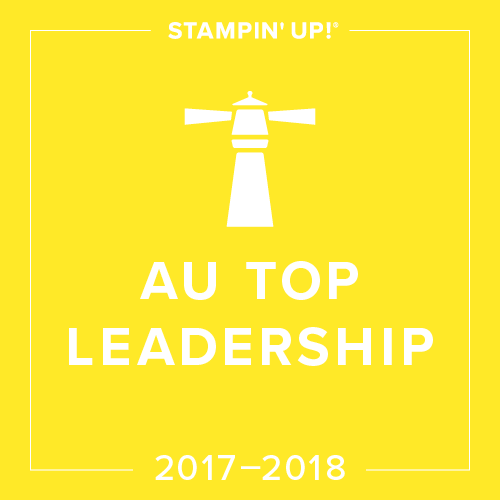 This month we are excited to show off our "Most used stamp sets". We hope you find great inspiration from the projects. 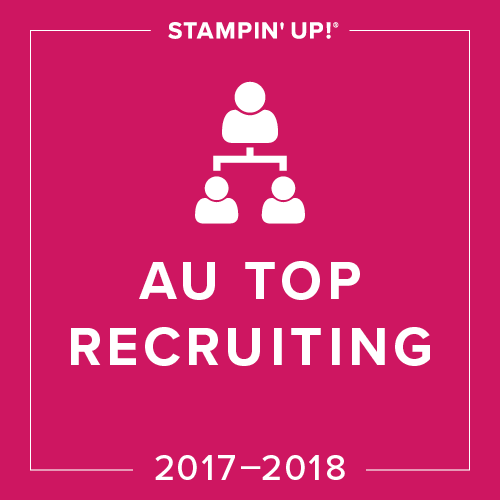 You may just be starting the blog hop here at my blog, or you may have come from the person previous to me in the list. If you get off track at any time, the full lineup below will help you move along from blog to blog so you see all the projects. At the moment you are visiting Jessie Holton. This is my first blog hop, so I hope you enjoy it! 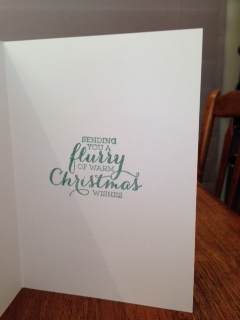 With Christmas coming up, I've been using the Flurry of Wishes stamp set & matching Snowflakes Punch like they're going out of fashion & I love, love, love the Lost Lagoon ink!!! But seriously, how great are the results from this one little set!! 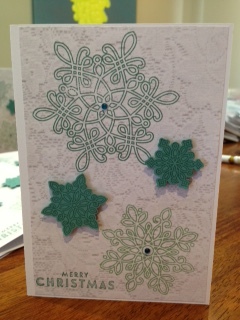 And these cards were so fun & easy to make! 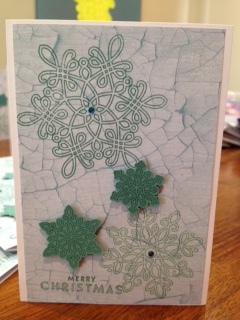 I've used the Lost Lagoon ink for everything except the smaller of the two big snowflakes stamped directly on the cards, for which I used Mint Macaron instead. I doubled up the Lost Lagoon ink on the Lost Lagoon card for the stuck on snowflakes and gave them the 3D effect with a little Dimensional under each one. I added a couple of little aqua coloured rhinestones for a bit of extra pizazz. And of course, they're on Whisper White card, A4 cut in half, then folded in half, so I get two cards out of an A4 sheet. Get these cards in my eBay shop or see the link below for the products used & then please click on the next person on the list to continue the fun times in this November Blog Hop!! 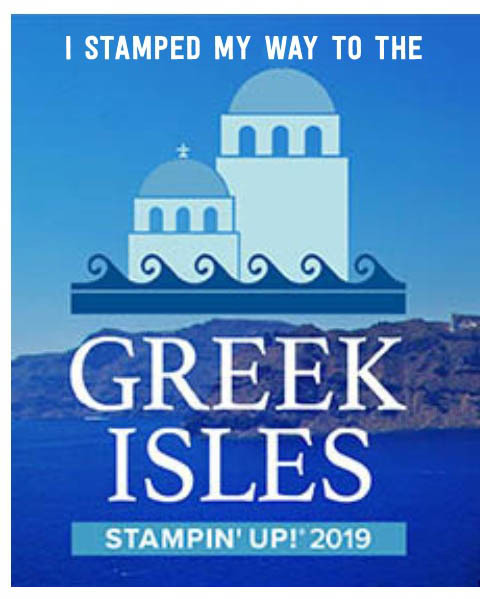 Congratulations on your your first blog hop, Jessie! Job very well done! 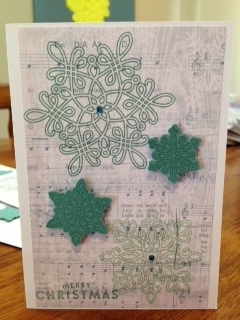 Great blog Jessie and lovely cards. 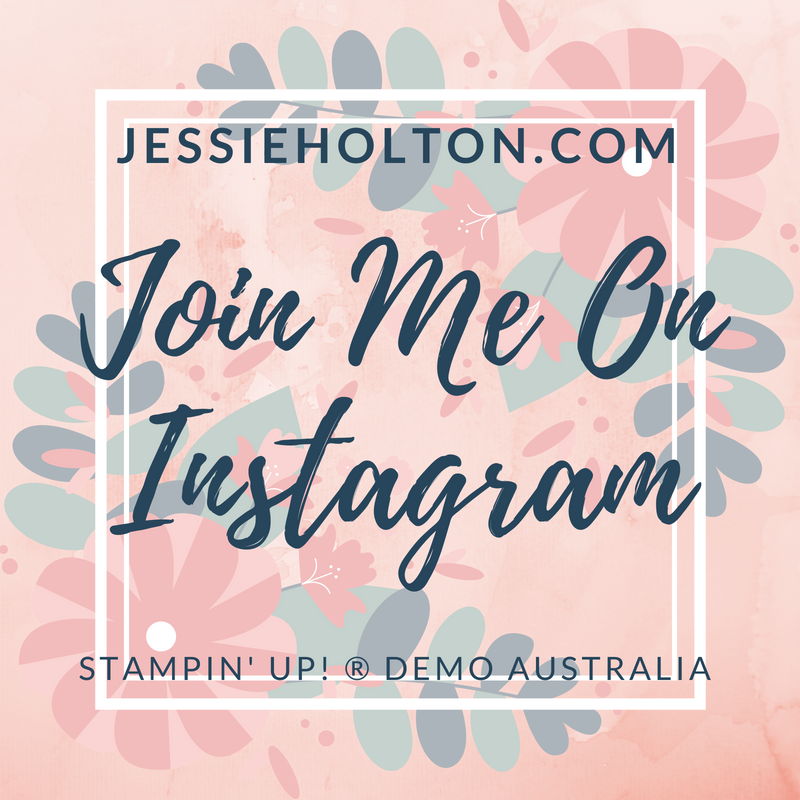 Congrats on your first blog hop Jessie - you have certainly kicked off with a bang! Love all the cards, especially the colour combos - well done you! Welcome to the hop Jessie! 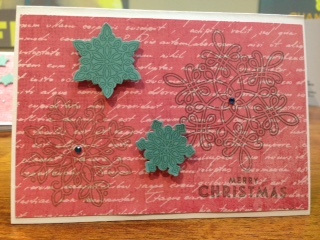 Gorgeous cards, this is definitely a great stamp set, I've also used it lots for this Christmas. Great first hop! Lovely cards Jessie. 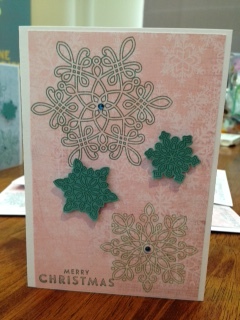 Jessie - Great use of these stamps! Love that you showcased how much the background changes the look. Gorgeous! 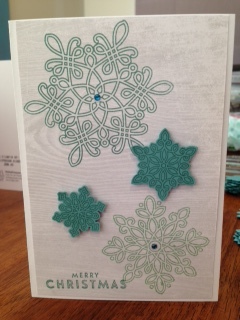 What a great collection of pretty snowflake cards!